priests and "theopropoi" in order to clean themselves before they go down in the adyton (sanctum). Today are saved the ruins of two phases of the spring building, that collected the water in a rectangular basin and channelled it afterwards with taps to the pilgrims of the sanctuary. 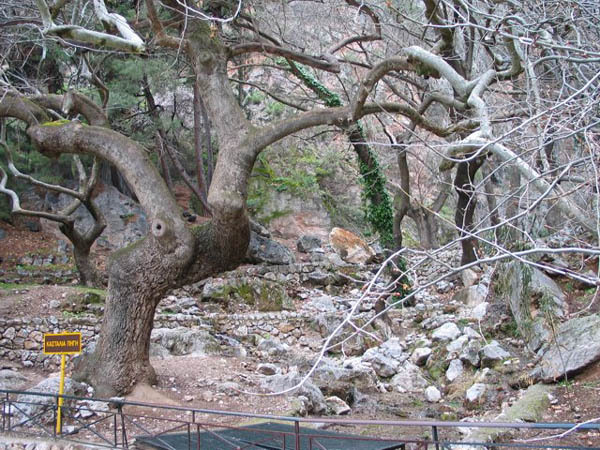 Next to the road we see the archaic spring, built in the beginning of 6th cent B.C. , while 50m. more highly we see the spring of the hellenistic and roman years where the basin and its facade have been sculptured on the rock.